Accounts in Transit: R/West orders Rioja Wines; Brandware salutes American Freedom Distillery; Matter Communs. tends to Tree Care Industry Assn. 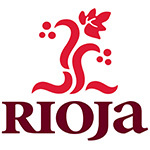 RWest has been named agency of record for Spain’s Rioja Wines. The agency will work with the Consejo Regulador (Regulatory Wine Council) of DOCa Rioja. to bring the region’s wines and lifestyle to a wider North American audience. RWest efforts for the Rioja brand are to include PR, social media, digital, paid media and a dedicated Rioja Trade Program. Rioja wines are protected by the oldest Designation of Origin in Spain, which administers highly sophisticated and stringent quality control in the winemaking process, from viniculture to bottling. 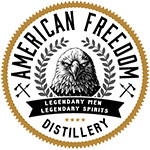 Brandware has been selected as public agency of record for American Freedom Distillery. Brandware will manage both regional and national media communications for the company, including local influencer campaigns as it launches in new markets. The St. Petersburg, Florida-based craft distillery produces American-made premium spirits, including the Rekker Rum and Horse Soldier Bourbon brands. Its bourbon bottles are pressed in molds made out of steel salvaged from the World Trade Center site. 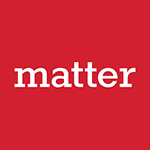 Matter Communications has brought on seven new clients as part of the Boston's shop expansion that amplified its digital services and added 10 new staffers, including general manager Jeff Tahnk. The new clients include CureDuchenne, which works to improve and extend the lives of boys and young men with Duchenne muscular dystrophy; Medical robotic company Myomo; payments, human resources and benefits outsourcing company Paychex; Radius Bank; web security firm Sectigo; Theracycle, a motorized exercise bike geared toward patients with such movement disorders as Parkinson’s disease and MS; and the Tree Care Industry Association.